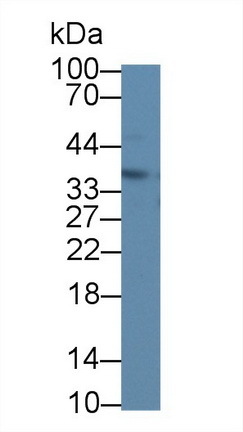 The antibody is a rabbit polyclonal antibody raised against SMUG1. 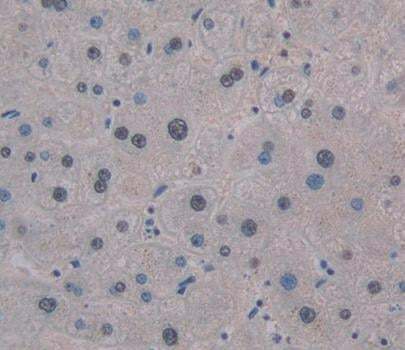 It has been selected for its ability to recognize SMUG1 in immunohistochemical staining and western blotting. Content: The quality control contains recombinant SMUG1 (Met1~Lys270) disposed in loading buffer. Small volumes of anti-SMUG1 antibody vial(s) may occasionally become entrapped in the seal of the product vial during shipment and storage. If necessary, briefly centrifuge the vial on a tabletop centrifuge to dislodge any liquid in the container`s cap. Certain products may require to ship with dry ice and additional dry ice fee may apply. NCBI/Uniprot data below describe general gene information for SMUG1. It may not necessarily be applicable to this product. SMUG1: Responsible for recognizing base lesions in the genome and initiating base excision DNA repair. 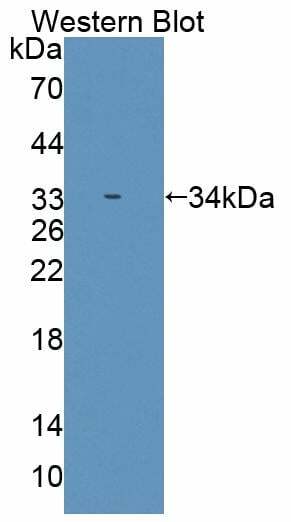 Acts as a monofunctional DNA glycosylase specific for uracil (U) residues in DNA and has a preference for single-stranded DNA substrates. The activity is greater against mismatches (U/G) than against matches (U/A). Excised uracil (U), 5-formyluracil (fU) and uracil derivatives bearing an oxidized group at C5 [5-hydroxyuracil (hoU) and 5- hydroxymethyluracil (hmU)] in ssDNA and dsDNA but not analogous cytosine derivatives (5-hydroxycytosine and 5-formylcytosine) and other oxidized damage. The activity is damage specificity and salt concentration-dependent. The general order of the preference for ssDNA and dsDNA is the following: ssDNA > dsDNA (G pair) = dsDNA (A pair) at the low salt concentration. At the high concentration dsDNA (G pair) > dsDNA (A pair) > ssDNA. 2 isoforms of the human protein are produced by alternative splicing. 1. Our study showed that c.-31A/G-SMUG1 genotypes/alleles do not have any association with the occurrence or severity of advanced type age-related macular degeneration (AMD). There was no interaction of CRP levels and SMUG1 genotypes in AMD susceptibility.